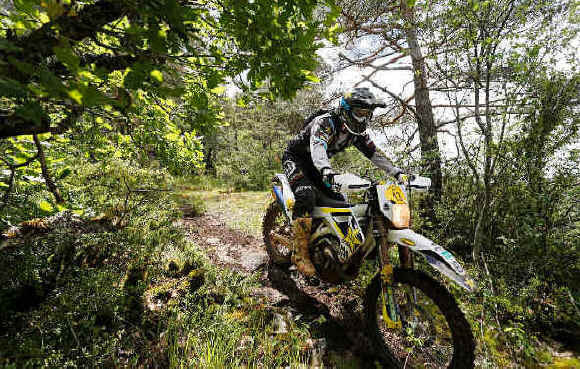 World Enduro Super Series championship leader Jonny Walker tops an entry of 500 competitors as round four heads to Red Bull Romaniacs in Romania. 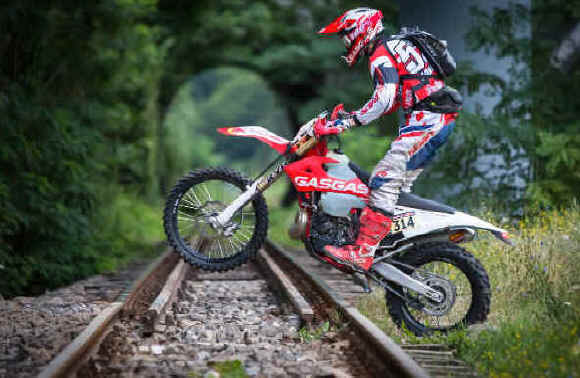 Marking the halfway point in this year’s series, the five-day Hard Enduro Rallye will play a pivotal role in the race to become the ULTIMATE ENDURO CHAMPION. Red Bull KTM Factory Racing’s Jonny Walker tops the standings after three rounds, but with 2017 event winner Graham Jarvis (Husqvarna - GB) and a full field of the world’s best Enduro riders from 53 nations chasing him down, the stage is set for an exciting week of racing. 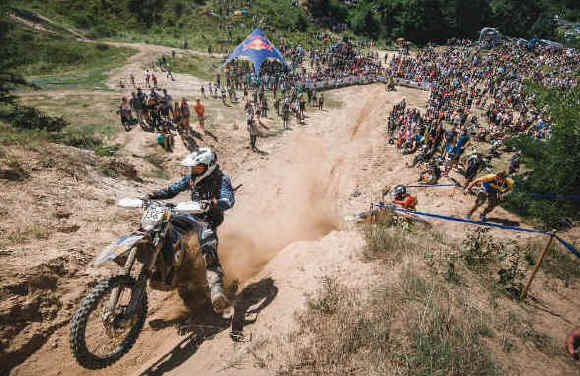 Regarded as the world’s toughest Hard Enduro Rallye, Red Bull Romaniacs begins on Tuesday July 24 with the city prologue before leading riders out into the wilderness of the surrounding Carpathian Mountains for four days of unforgettable Enduro riding. Filled with 12 artificial Enduro obstacles, Tuesday’s prologue ensures a spectacular start to the 15th edition of the race as competitors go head-to-head in a series of qualifier races that determine the starting order for the opening day of racing in the mountains. For 2018, organisers have included two overnight bivouacs that will bring competitors away from the host city of Sibiu to the nearby town of Petrosani. Reaching out into some previously untouched Enduro locations ensures fresh tracks and unchartered territory that will be new to even the most hardened and experienced Red Bull Romaniacs competitors. Off road day three returns riders to Sibiu before the final day of racing loops them around the city’s surrounding trail network, finishing with the infamously steep Gusterita hill climb where the winners of this year’s race will be crowned. Thanks to his consistently strong performances this season, Walker holds a 265-point lead over his nearest challenger Manuel Lettenbichler (KTM - GER). Already a two-time winner of the Red Bull Romaniacs, the British rider is keen to use his experience in this demanding event to record his first WESS victory. Proving to be one of this year’s standout performers, Lettenbichler moved up to second overall following his top-15 result at round three in France. Most at home in Hard Enduro, the 20-year-old privateer’s podium results at Extreme XL Lagares and Erzbergrodeo Red Bull Hare Scramble will add a boost of confidence to the German leading into round four. Sitting just 35 points behind Lettenbichler in third overall, Rockstar Energy Husqvarna Factory Racing’s Billy Bolt will look to make a return to the podium at round four. With round one victory to his credit, the young British rider has proven he’s got the pace to challenge for the win and will aim to do just that in Romania. 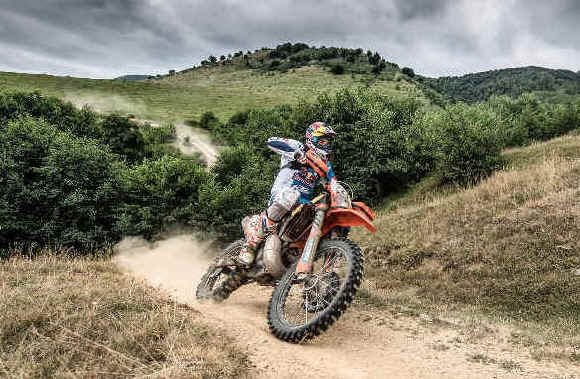 Currently fourth overall in the series, Graham Jarvis is the most successful ever competitor in the 15-year history of the Red Bull Romaniacs with six victories to his name. Putting in a dominant display of riding in last year’s race he topped the podium by an incredible 32 minutes. With the addition of WESS for 2018 ensuring the stakes are higher than ever, Jarvis will only have thoughts of claiming a seventh victory on his mind. Completing the top five, Taddy Blazusiak (KTM - PL) is one rider who’ll be hoping to get his championship campaign back on track in Romania. Having only previously competed in the race in 2010, the unique GPS navigational format will be new to Blazusiak as he blasts his way through the remote wilderness. Reigning Enduro 2 World Champion Josep Garcia (KTM - ESP) is best of the non-Hard Enduro specialists in sixth overall in the WESS standings. Set to make his Hard Enduro Rallye debut, the Spaniard will be a rider to watch for as he adjusts once again to a new style of racing. However, having recorded promising rides in Portugal and Austria, he’s adapted well to the series. One place behind Garcia in the championship classification, Paul Bolton (KTM - GB) begins Red Bull Romaniacs aiming to repeat his podium result of 2017. A favourite among Enduro fans, the privateer regards the race as true Enduro riding and will be eager to display his strengths in the Carpathian Mountains when the going gets tough. Yet to show his true form in WESS, Sherco Factory Racing’s Mario Roman (ESP) is hungry to earn some 2018 silverware. Runner-up to Jarvis in 2017, the Spaniard enjoys the long days and tough riding the race offers and will be a strong candidate for a podium result. So too will his Sherco teammate Wade Young. The South African has a strong pedigree in the Romanian Hard Enduro Rallye with multiple podium results to his credit. Yet to land an overall win, he’s hoping the 15th edition will be his moment of glory. Other riders to watch for include Beta Factory Racing’s Travis Teasdale (RSA), Gas Gas Factory Racing’s Lars Enockl (AUT), Australia's Tim Coleman (Beta), Blake Gutzeit (Yamaha - RSA), Rannar Uusna (KTM - Estonia), Pol Tarres (Husqvarna - ESP) and more. Spain’s Alfredo Gomez (Husqvarna) also makes his official WESS debut having sat out the opening three rounds due to injury.